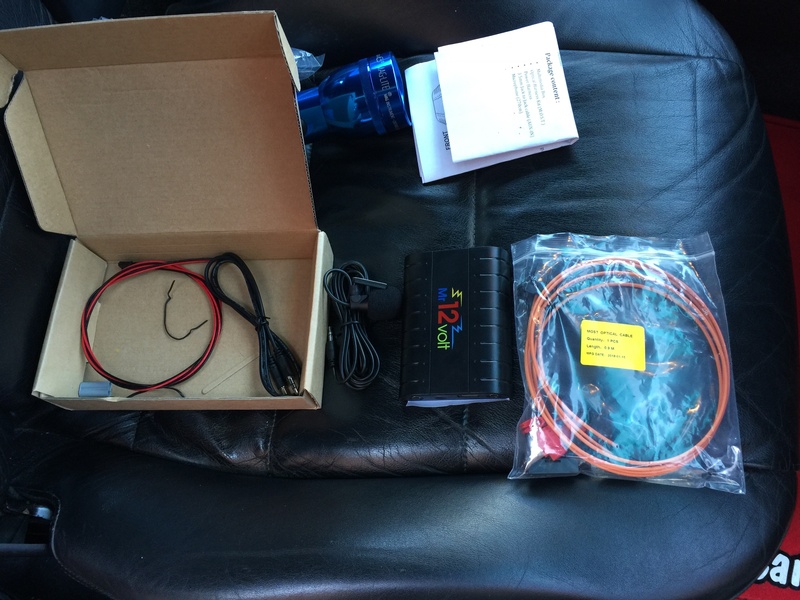 I have looked at various options to be able to get Bluetooth telephone connectivity and music streaming in my car while still retaining the old PCM2. I know lots of people have updated to newer double din units but I didn’t want to spend that amount of cash and also wanted to retain the original PCM. I bought one of these LA Power Bluetooth boxes off Ebay as for £115.00 it was worth a try and would hopefully be an easy fit. I already had a CD Changer and fitting the BT box was just a matter of disconnecting the fibre connection at the CD Changer and plugging it into the BT Box and then splicing a power supply from the changer power supply already there. I then tested the unit and paired my phone which connected immediately and then started to stream music and the playback quality sounded excellent. I then tested the phone which also went equally well. It got dark a bit too soon so didn’t have time to finish installing the mic tonight but so far so good and just need to tidy up the wiring under the front boot and then Velcro the unit in place. I don’t plan on running the aux connection as wouldn’t use it but do plan on running a USB extension into the cabin so I can either use a flash drive or charge my phone. I will upload some pics once I get it all finished. Screen now shows phone connected and BT Track info. Hopefully finish it off later this week and then give a good test. Glad that's working out for you, my dash still in pieces waiting for me to have spare half hour to put everything back together! Where are you going to put the mic? I’ve not decided on the mic location yet. The wire has been run into the cabin and is long enough to stretch to top of side pillar but I may put it into the dash console in place of the OEM mic. I’ve only done a test cal to the Mrs with the car stationary and engine off and she said she could hear me really well with the mic just sitting on top of the dash. I’ll see how it behaves when the car is moving. I was reading the thread on Rennlist and there was a couple of comments about the mic having a bit of echo. Early days yet and need to mess about a bit once I get it all finished. when I asked the question before a few guys said they chucked it in the oem location and it was fine, certainly saves routing cable. Posted: Thu Jul 19, 2018 10:45 am Post subject: installed but no phone! I just installed this system, I have a 2007 C2S, non bose, no cd changer and no phone, quite basic I guess, no navi but the PCM unit. I know I need to get it programmed for the streaming to work, but I was hopeful that the phone might work. Nothing though, when i press the phone button the message 'no internal telephone' comes up. The phone is paired ok.
Did you have a working phone before? As I did not have the cd changer I unplugged the fibre and connected the unit direct to the PCM. I noted that there was light coming out of the fibre that goes to in to the bluetooth unit but no light coming out of the bluetooth unit itself? Any ideas? I didn't have a working phone before installing the BT unit. But the phone works now. If you didn't have a CD changer before you will probably need to have this enabled to get the BT unit to work. Do you have any connection errors showing on the PCM now? I just bought one - will post back with findings once I get 5 minutes to install it! I don't have any errors on the PCM however still not working. I may try to splice it into the most ring rather than disconnect the existing, however as its non Bose and no navigation I think the existing connector is just for CD change preparation, would anyone know? You will need to go see a dealer and get them to enable the CD changer on the PCM. These units take the place of the CD changer. 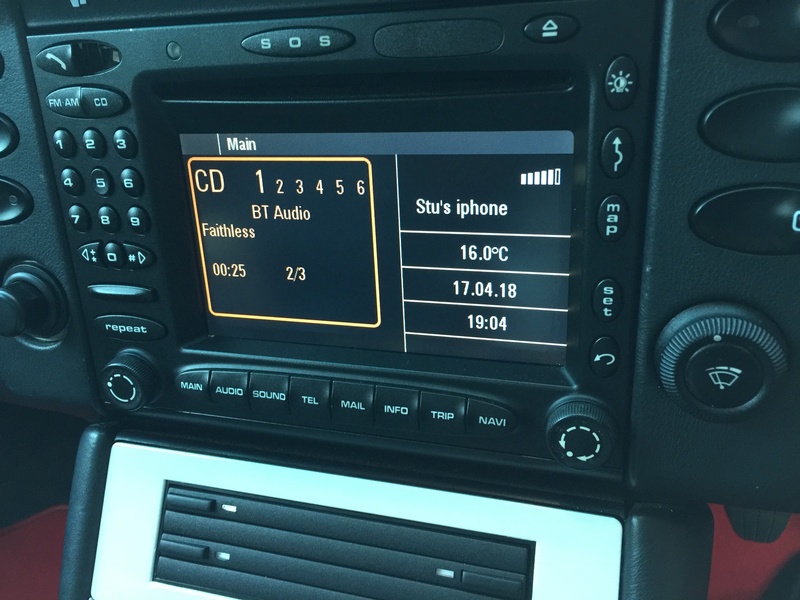 Posted: Sat Jul 21, 2018 1:57 pm Post subject: where do the MOST fibres go on a 997 without Bose?